During the holiday season, we love to make food gifts for friends and family. 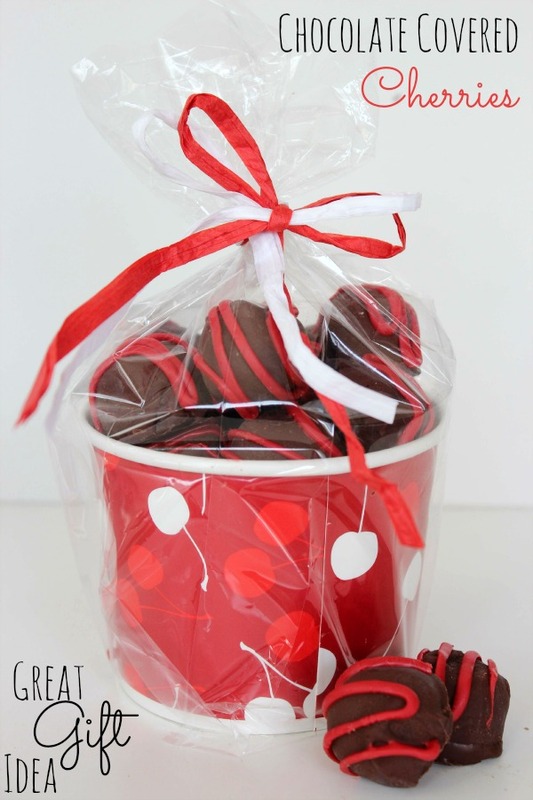 Gifts that are homemade can be so much better than store bought items. Making gifts is usually inexpensive and much more personal. 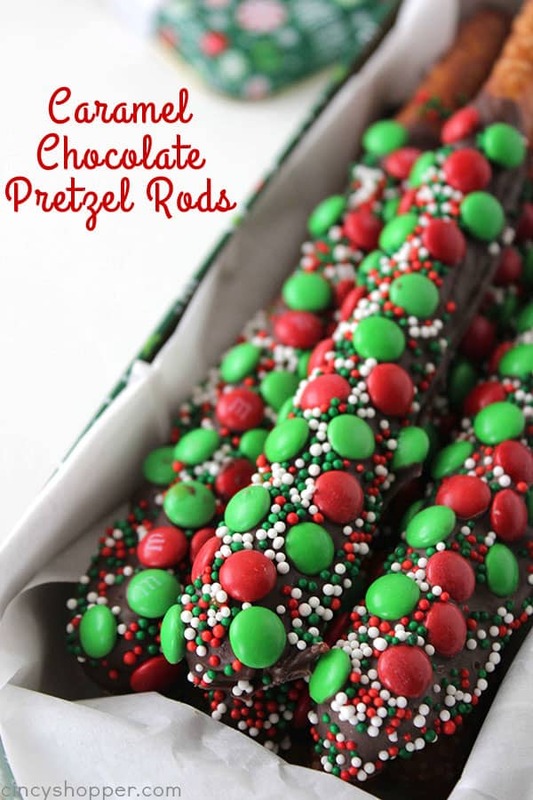 You can purchase gourmet versions of these Caramel Chocolate Pretzel Rods. I will warn you though… They can be very expensive. 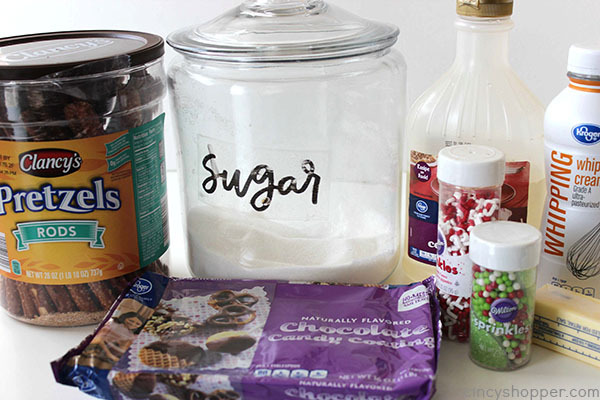 No need to buy from some fancy store, you can make them at home with just a few ingredients and a bit of time. 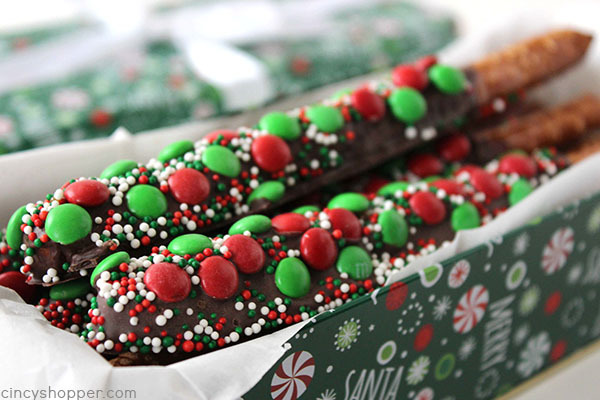 I made a batch of these yummy caramel and chocolate dipped pretzels today to be sure they would fit and look great in the tin boxes I bought. I found these boxes at my Dollar Tree store and they worked perfect. The price was right and the pretzel rods fit perfectly. 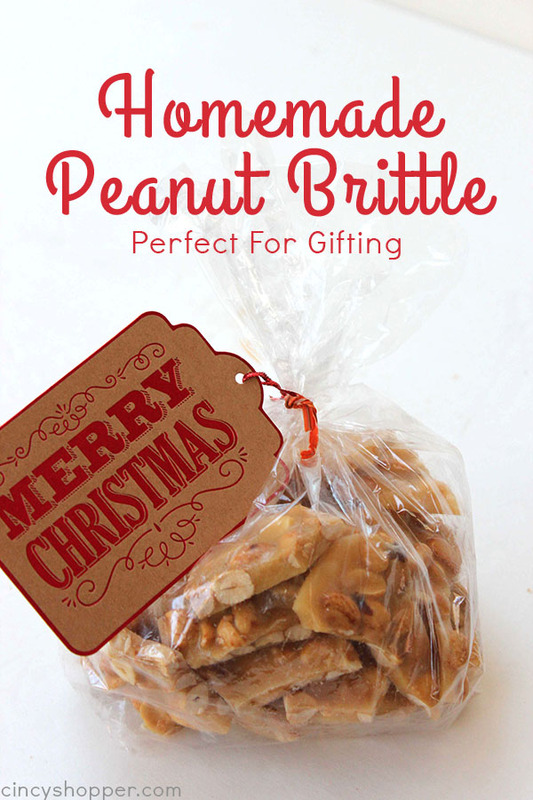 I plan to make a few batches of these to gift for family and friends during the holidays. 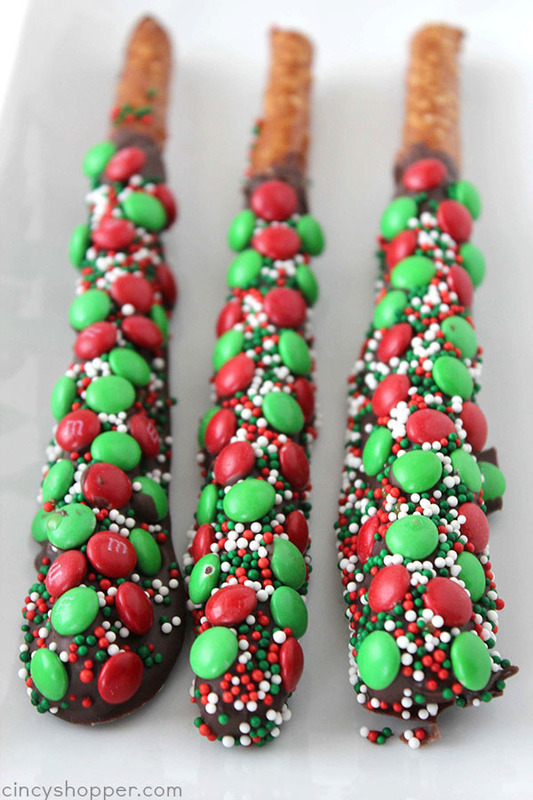 I figure I can make a couple different variations with all the different holiday sprinkles I have on hand. 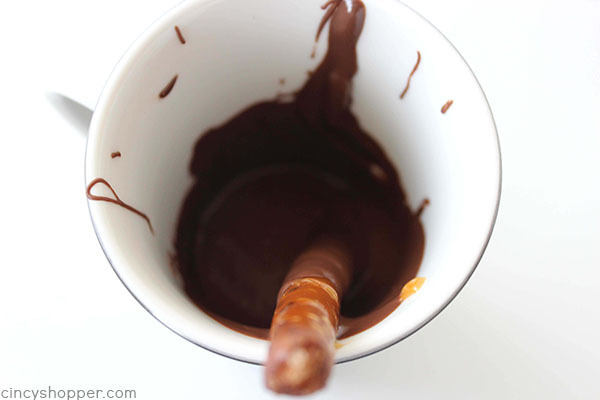 To make your own homemade Caramel Chocolate Dipped Pretzels, you will need your favorite caramel recipe or I used my Homemade Caramel Sauce Recipe. 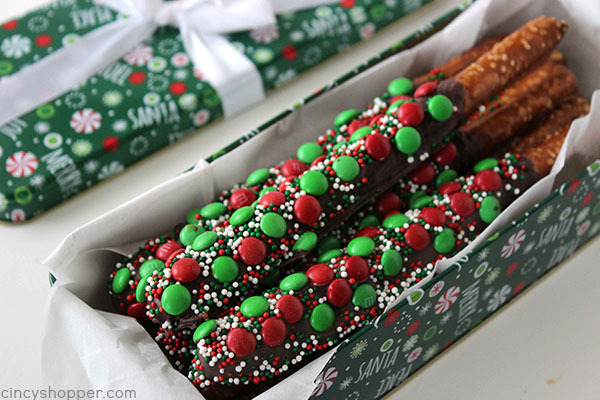 You will also need some melting chocolates, pretzel rods, and some candies for decorating. I used some of the mini m&m baking chips and I thought they were perfect. 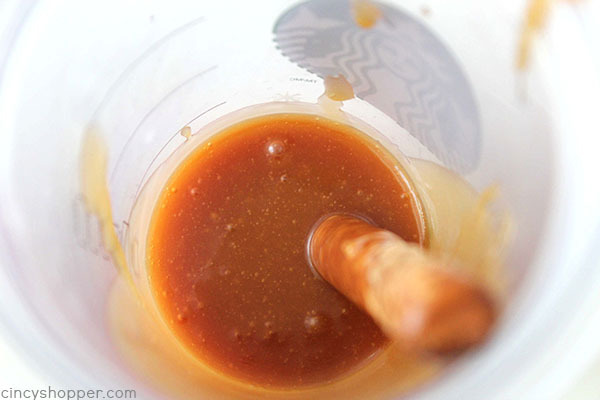 Transfer caramel to tall cup for dipping. 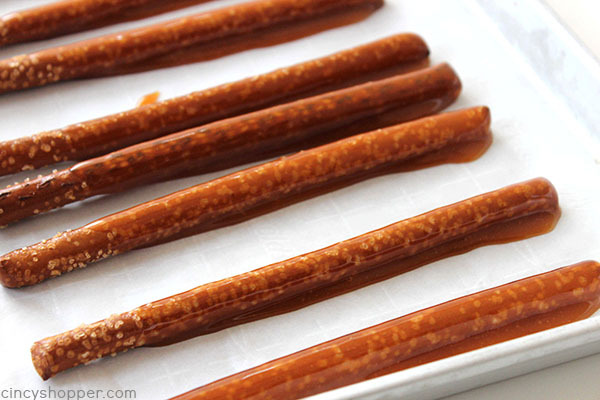 Dip each pretzel rod in caramel and place on prepared tray. 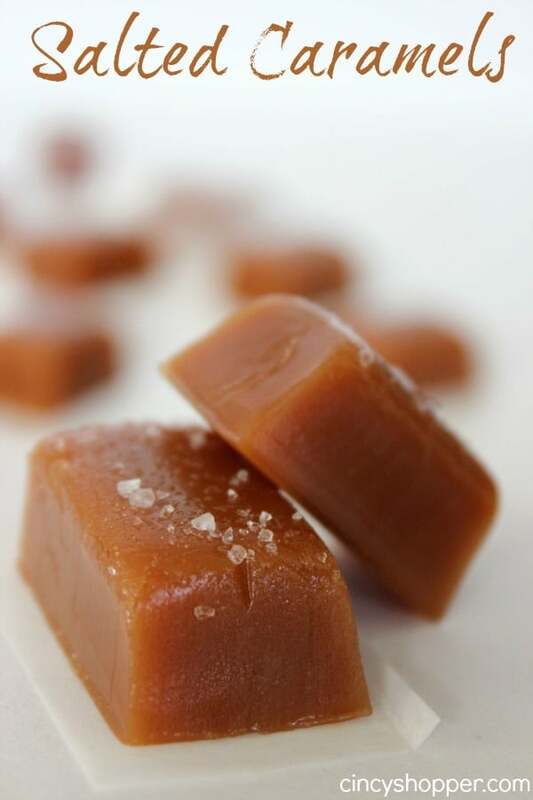 Refrigerate for 30 minutes to allow caramel to set. Heat chocolate in microwave for 30 seconds and stir. Repeat until melted and smooth. Transfer to tall cup for dipping. 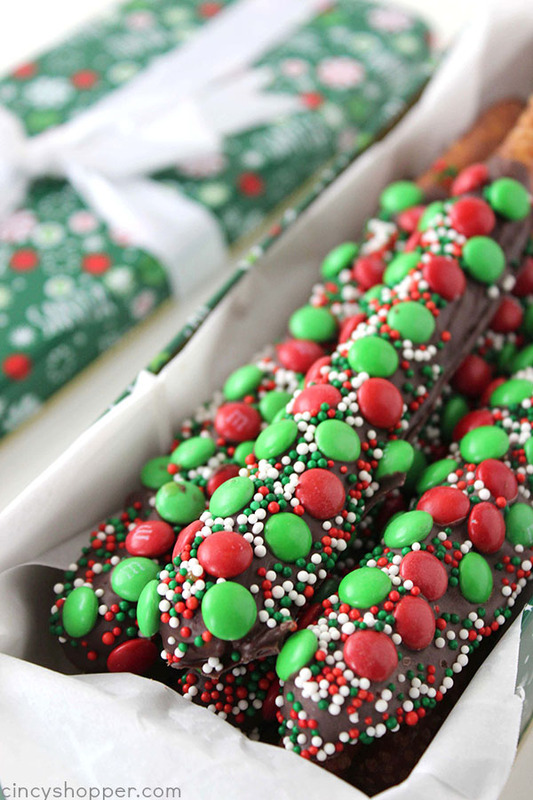 Dip each caramel coated pretzel in chocolate to coat and return to tray. Sprinkle with decorations while still warm. Refrigerate for 30 minutes to allow chocolate to set. 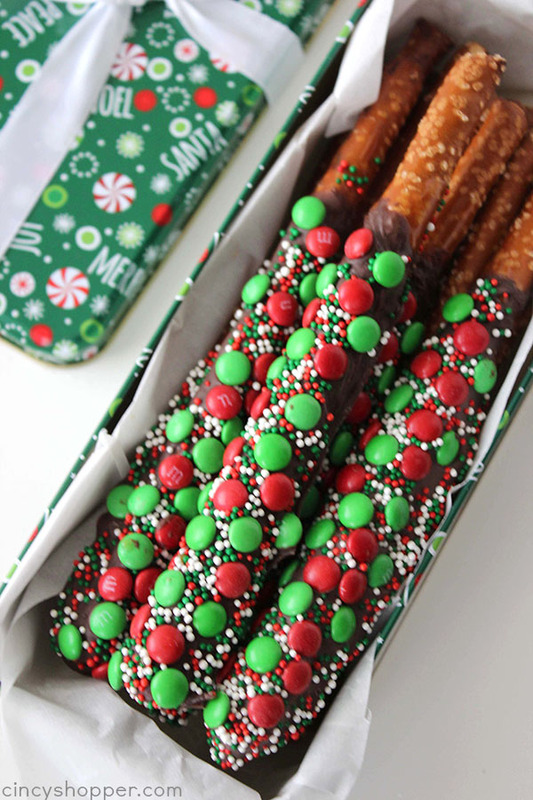 Do you have a favorite food you gift during the holidays? 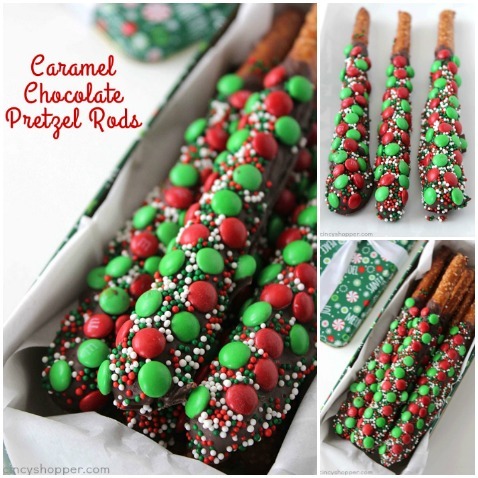 Your holiday snack ideas are wonderful and very easy and simple to make. I am making some turkey drumsticks (Rice Krispie kind) to take to our Granddaughters for the kids young and old. I know they are going to love the idea. Thank you for sharing?????? What a great gift! Thanks for linking up to Merry Monday! Sharing on FB! Have a great week! Yum! Thanks for linkin’ up with What’s Cookin’ Wednesday! 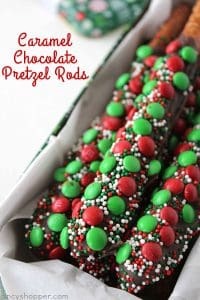 My kids love pretzel rods. I’ve never dipped them in caramel before! I’ll have to try it. Neighbor and mail lady gifts for Christmas ? I am definitely pinning this one now.